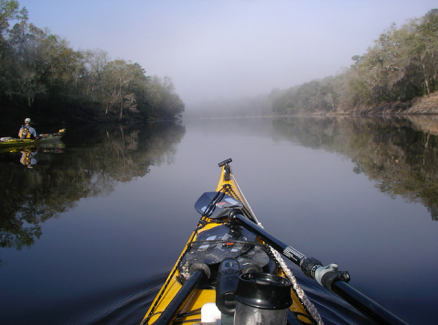 Florida’s fabled Suwannee River: It is reported that Stephen Foster, who celebrated the Suwannee in the folk tune “The Old Folks at Home”, never visited the Suwannee River in Florida. Yet there are Stephen Foster state cultural parks and music parks all through the upper Suwannee. 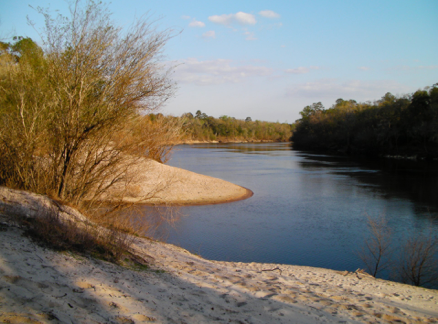 Foster sang about the Suwannee in Georgia, where it originates. 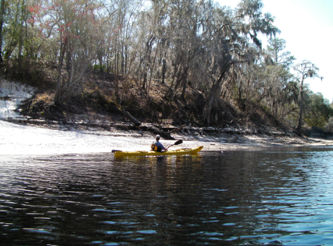 Never the less, Foster and the Suwannee are linked forever, along with the live oaks and Spanish Moss, and the limestone cliffs and incredibly white sandbars that line it’s banks. We began our adventure near White Springs, Florida and paddled 138 miles (mostly) southwest to Fanning Springs, averaging about twenty miles per day. While Scott had identified and in some cases reserved camping facilities along the way, we adjusted these, camping along the river on public land on two nights to even out the daily distances paddled. We had the distinct pleasure of using the luxurious Suwannee River Wilderness Trail River Camps on three nights (more on the River Camps later). 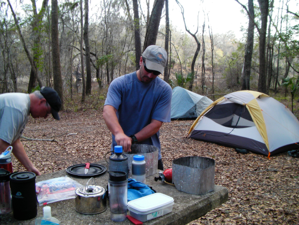 Florida’s state parks and camping facilities have to be among the best in the country. Park facilities are always well maintained and park personnel are uniformly pleasant and helpful. 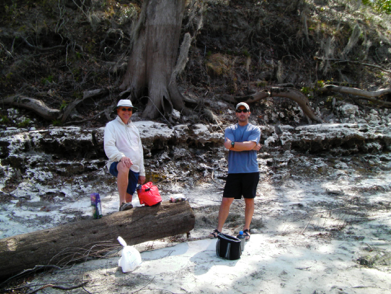 This is the third year I have used Florida State Parks on camping adventures. We had glorious weather for the entire week. Warm days with low (for Florida) humidity, blue skies, cool nights to keep the bugs at bay and water warm enough to swim in. Read on for the full story.